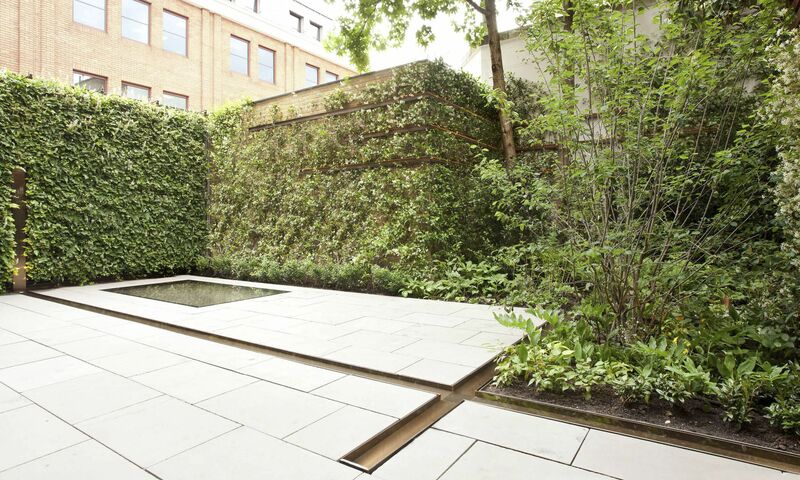 Visitors to this newly built family house in Chelsea are greeted by impressive sentinels of clipped Quercus ilex. 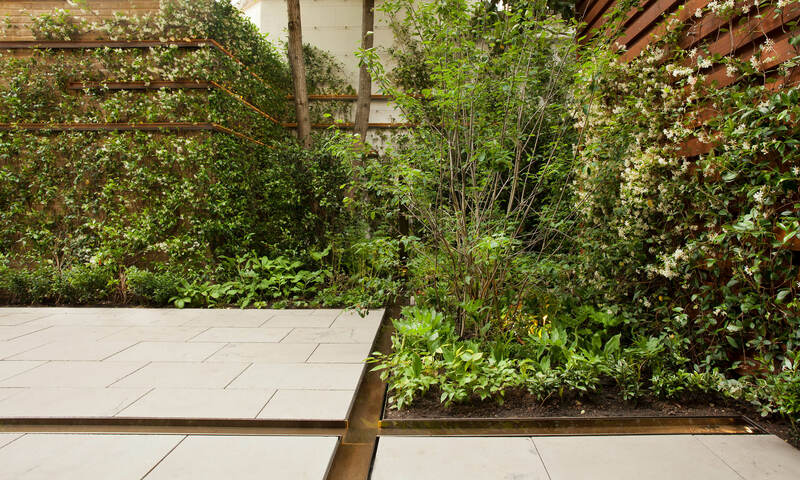 As they approach the front door they can’t fail to notice the scent of Sarcococca confusa in winter and that of Pittosporum tobira nanum in summer. 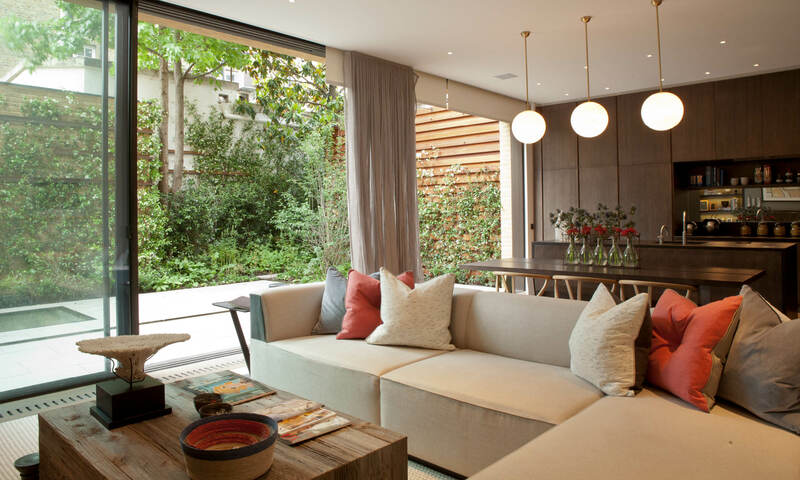 This evergreen theme continues behind the house, a space framed by the expansive glass door of the kitchen. 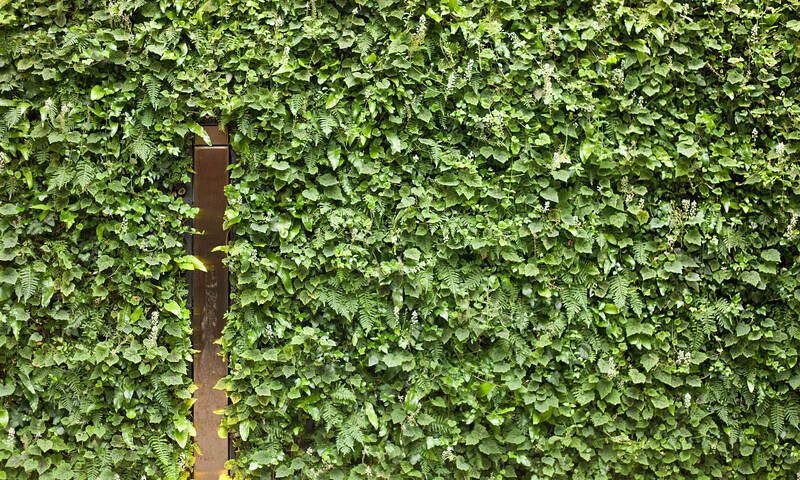 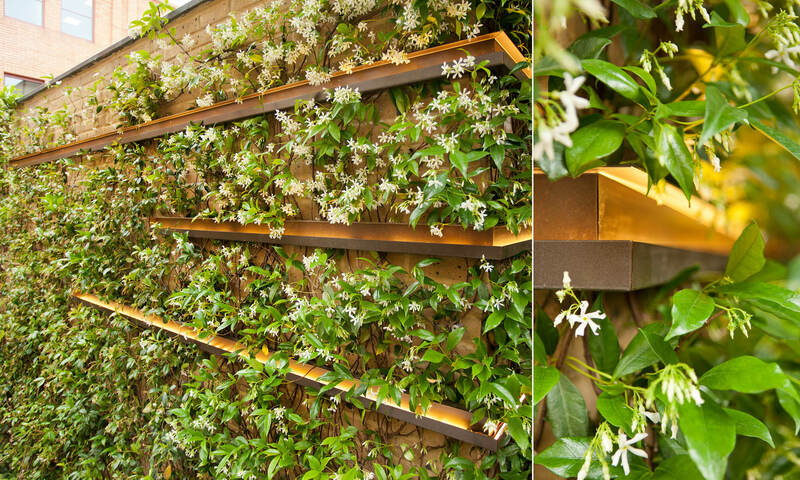 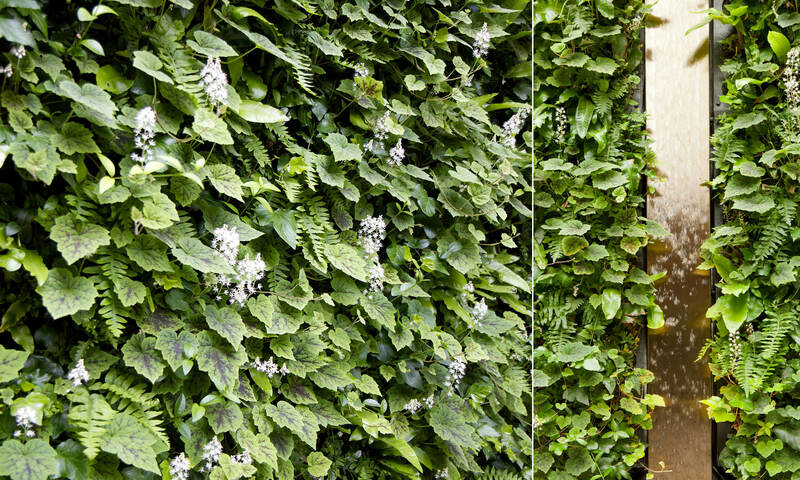 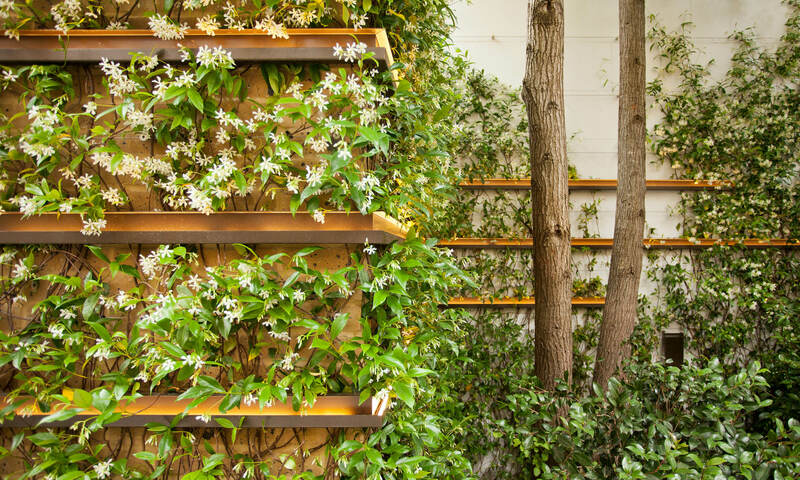 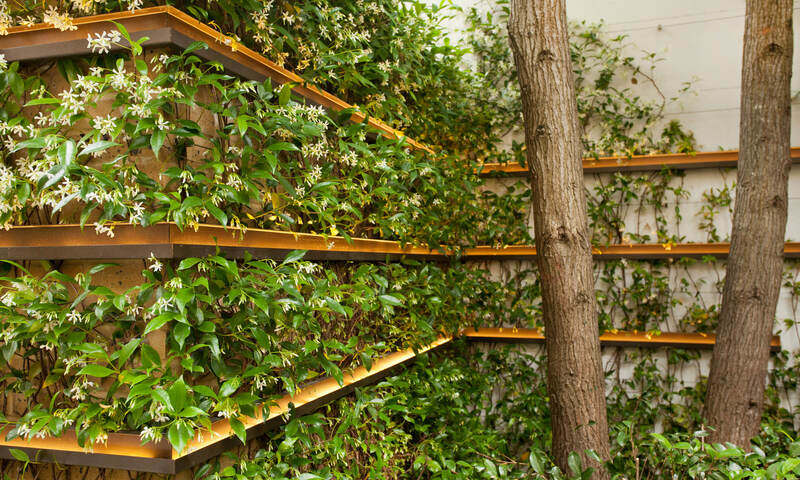 Here a vibrant green wall encloses one side of the courtyard and Trachelospermum jasminoides covers the other walls. 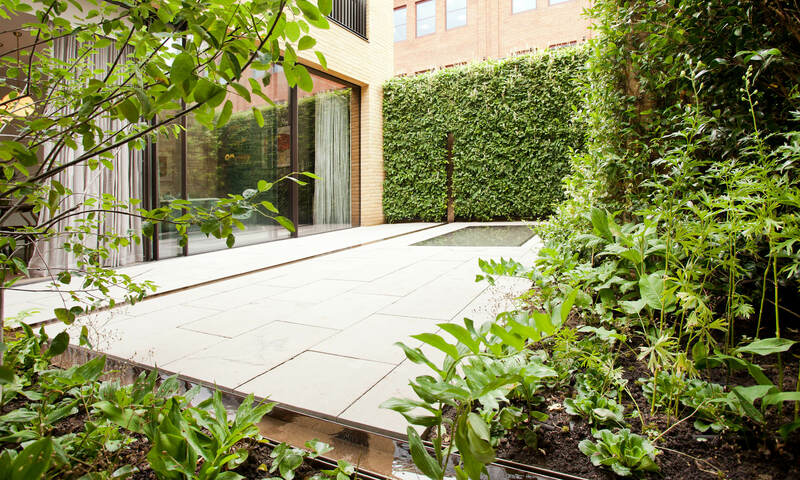 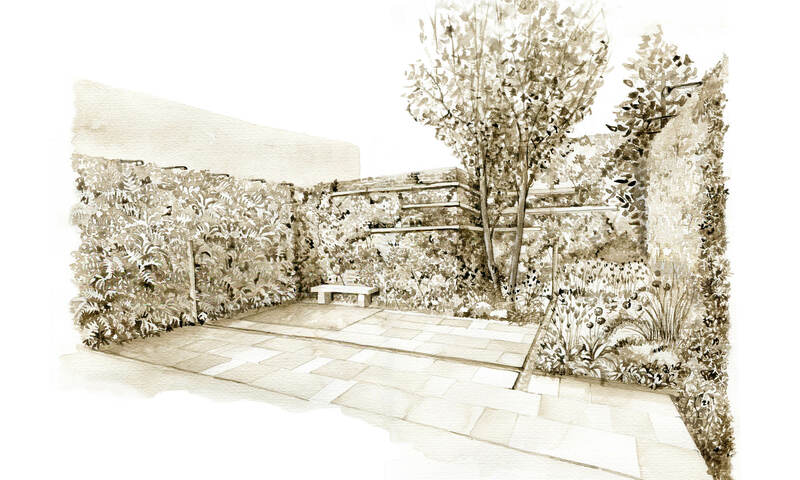 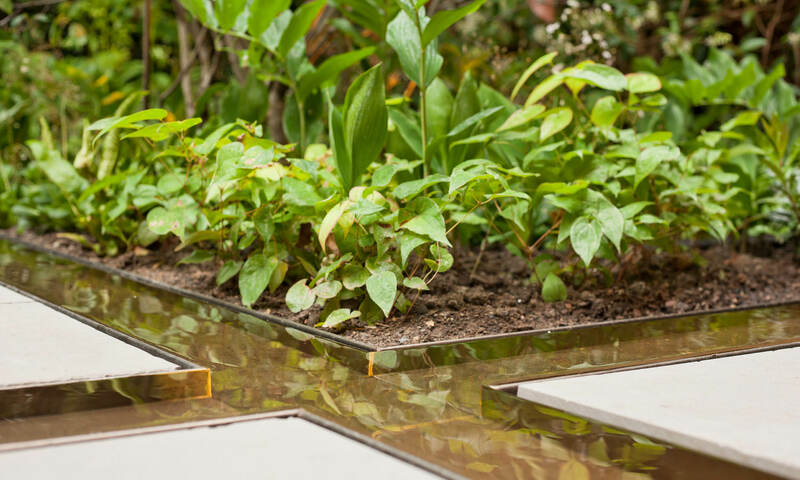 The contours are softened further by the extension of existing planting beds to merge with the paving, and the scent of jasmine combines with the sound of moving water to evoke images of ancient Arabic gardens. 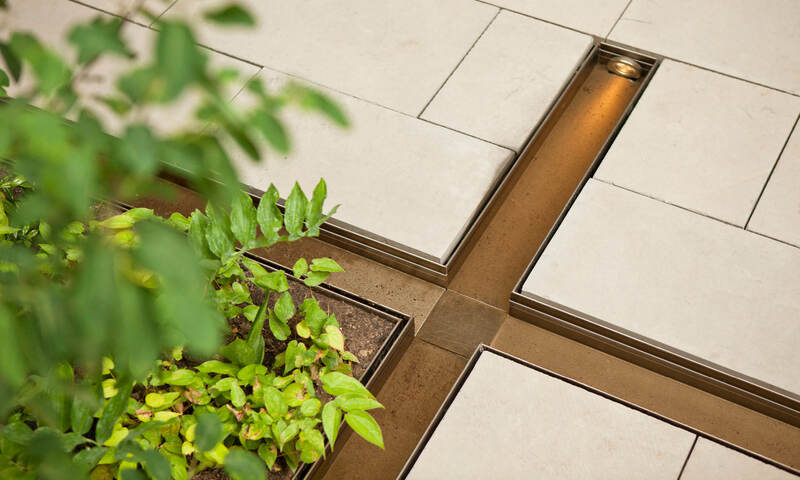 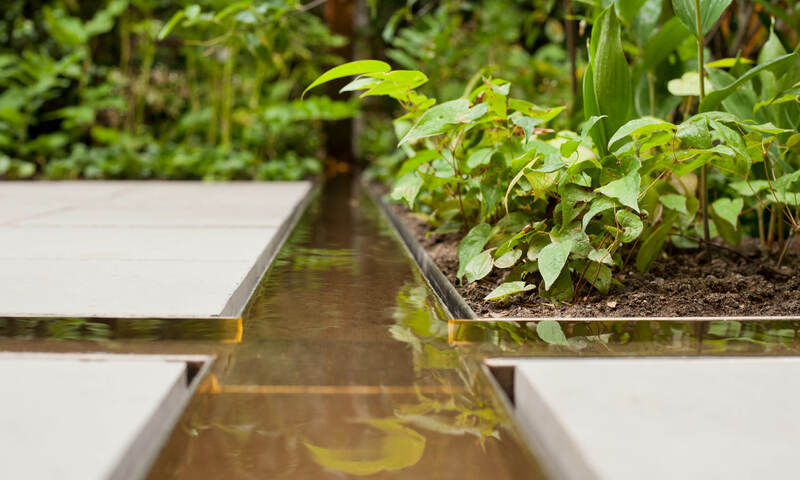 Rills flow down the walls into horizontal channels that eventually intersect, linking the vertical and horizontal planes of the garden, while specially designed bronze-finish strip lights softly illuminate the space at night, creating another visual link between the vertical surfaces of the walls.